Charley Dickson always knew he would join the active forces. It was a decision he didn’t even have to make. He was raised around examples of proud, upstanding service men. His grandpa was in the military. All 5 of his brothers served as well, in different branches. Charley decided early on that he wanted to join the Navy. And in 1965, he did. 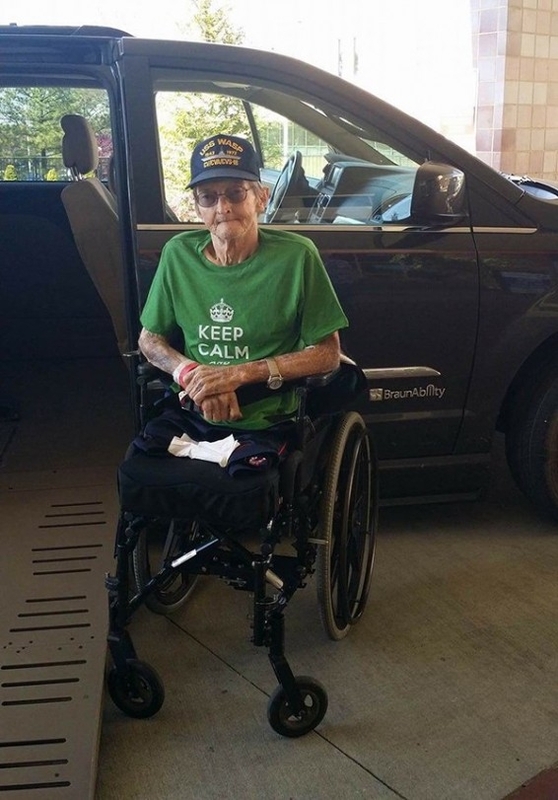 Charley served 4 years as a machinist aboard the USS WASP. Those years were some of the greatest of his life. In that time, his carrier was solely responsible for the safe recovery of several astronauts from the Gemini space missions after they landed in the water. He spent his years on the Eastern coast conducting operations, transporting cargo and embarking on classified – often dangerous – missions. The work was hard and the hours were long. Charley’s body and mind were put to the test, and each day he pushed the limits from where he was the day before. But above all, his time spent aboard the USS WASP gave Charley the fulfillment he valued above all: that what he was doing with his life was meaningful, important, and appreciated. That felt like a lifetime ago. Charley sighs, and looks away from the framed photos and memorabilia his wife Becky keeps around the house. He unlocks his wheelchair and guides himself over to the window, to the view where he can see his front yard. He sits, lost in thought, for a long period of time. What should be the twilight years of Charley’s life have been fraught with complications and hardship. Instead of relaxing and enjoying the easy pace of retirement, he “fights every day to retain his dignity, independence, and self-respect due to numerous medical and mental disabilities.” He can no longer do the things that bring him the simplest pleasures: fixing the car, tinkering on the lawn mower, being there to provide assistance to those who depend on him. 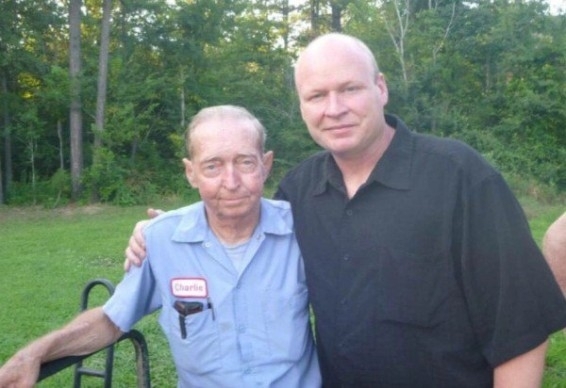 He worked his whole life to support his family without ever asking for anything. He kept his head down, guided by a moral compass that held him to a code of silent pride and strength. Recently though, that compass has been compromised. 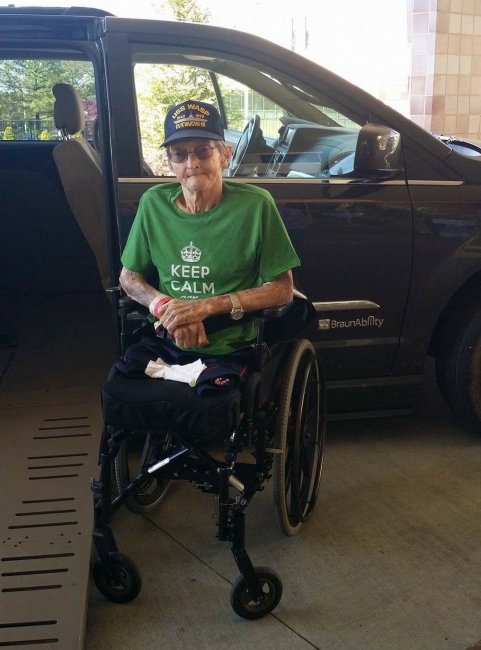 In the past three years, Charley has been diagnosed with cardiopulmonary disease, lung cancer, COPD (Chronic Obstructive Pulmonary Disease), he has had both legs amputated due to peripheral artery disease, and suffered both a stroke and a heart attack. In a few short years, Charley was robbed of his integrity and sense of purpose. His step son, SSgt. Jeffrey Smith, knew how difficult Charley’s life had become. 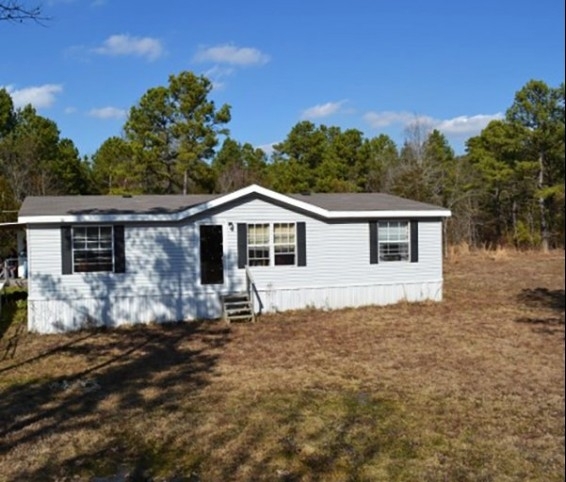 He and his brother, Jason, both assisted their mother and Charley monetarily… but it wasn’t enough. He watched as Charley attempted to receive help from the VA, in vain. 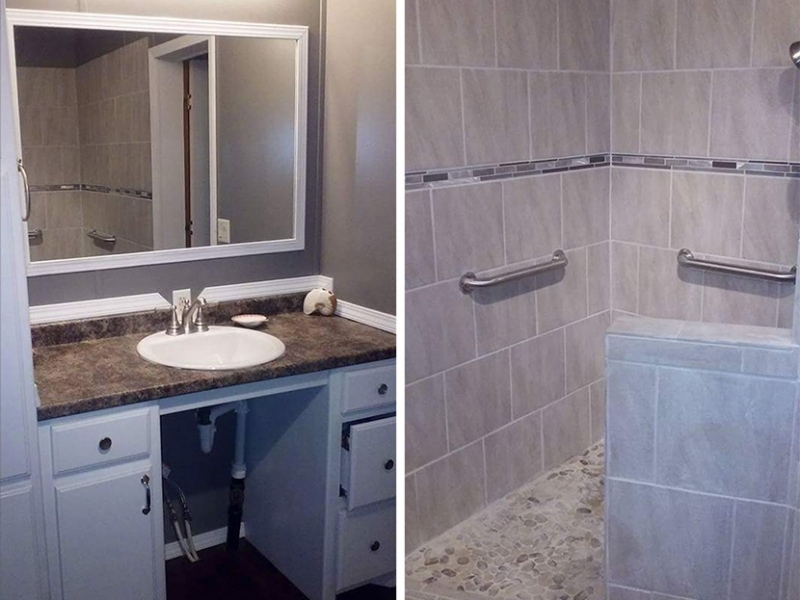 “The VA works within the confines of a ‘one size fits all system,'” Jeff told us. “Unfortunately, that isn’t the way the world works.” So, Jeff took matters into his own hands. He spent hours scouring the Internet, researching charities that prioritized assisting our nation’s veterans. And he found what he was looking for in Chive Charities. Charley with his step son, Jeff. SSgt. Jeffrey Smith is currently stationed in Okinawa, Japan, and in July he will retire from the Marines after 20 years of service. He still found the time to apply for a grant on behalf of his step dad, Charley. He and his brother Jason, who is in the Navy and currently stationed in Florida, aren’t always around to help out. That’s why this grant means the world to them. Here are the six Dickson brothers. 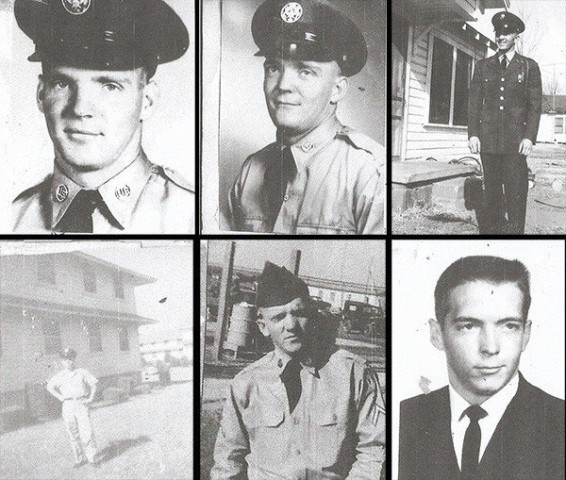 Three served in the United States Air Force, two served in the Army, and Charley, bottom right, served in the Navy. 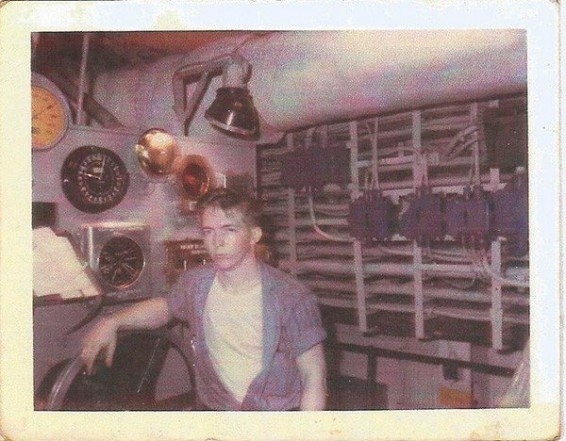 Charley, in the engine room of the USS WASP where he spent 4 years as a machinist. 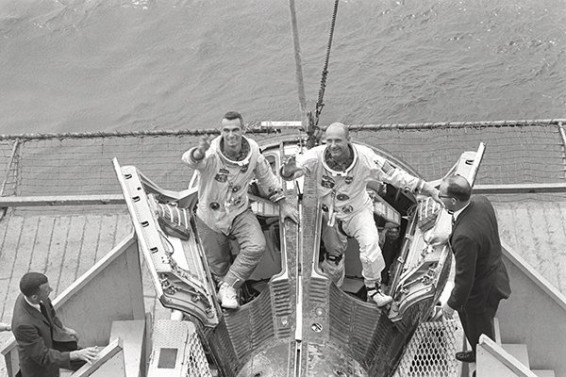 Gemini IX astronauts Cernan and Stafford aboard the USS WASP after being safely retrieved in June 1966. Charley loves being a grandfather. Here, he’s pictured with Jeff and his wife Jessica’s four beautiful daughters: Tonika, Jadelyn, Briana, and Brandi. 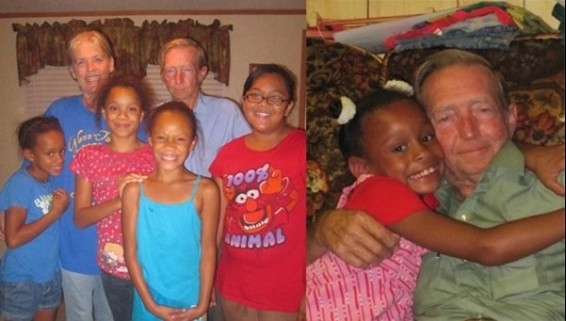 Being surrounded by his many grandchildren and great grandchildren brings an indescribable sense of value to his life. 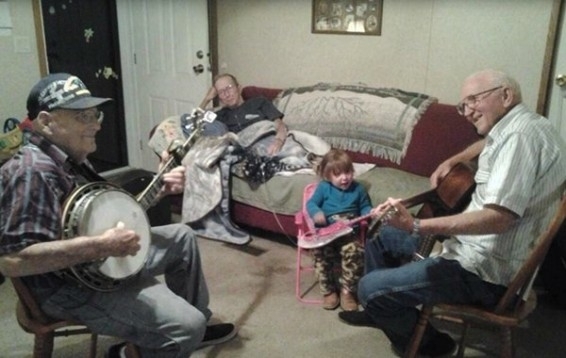 A group of Charley’s old friends from the Navy still get together to play guitar and banjo. They’ve also started teaching Charley’s great-grandaughter, Aaliyah. All the feels. When Jeff wrote to us about getting Charley some help, the most pressing need was a new mode of transportation. 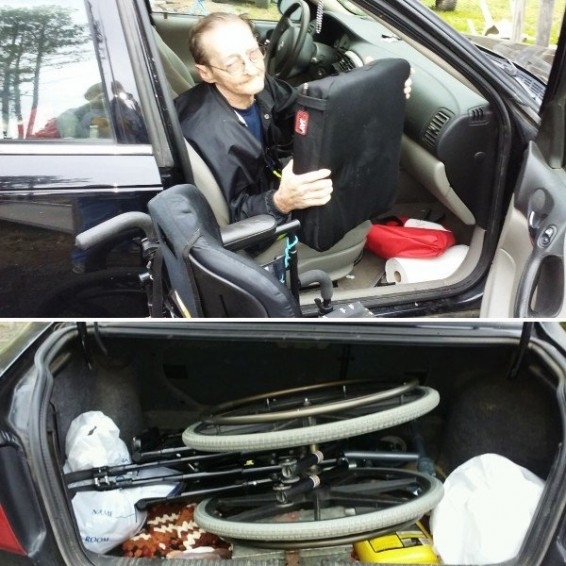 Because he has only become dependent on a wheelchair recently, the family’s sudden need for a wheelchair-accessible van caught them off guard. They couldn’t afford the sticker price of even an older model van. But Angie, our Program Director, had no intention of getting Charley an old, used van. This is Charley’s home in Oklahoma. 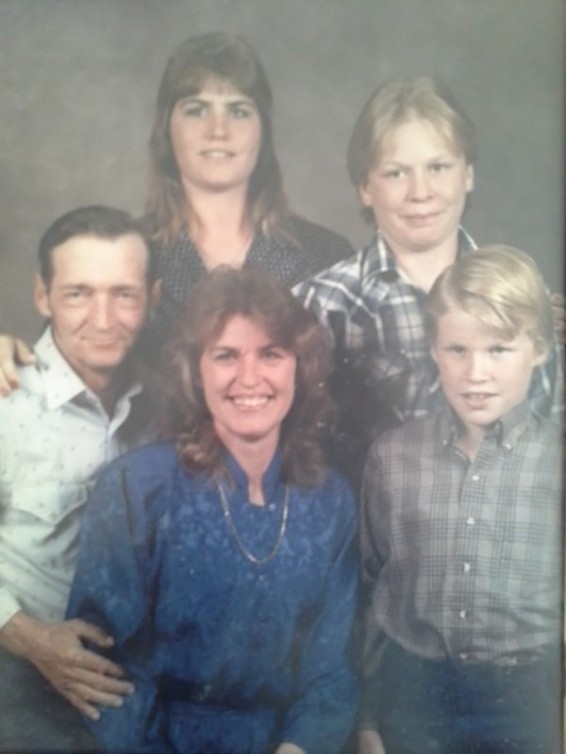 He and Becky moved here from Lake Texoma to be closer to family. And although in many ways, they love it here, the house is not adapted for Charley. 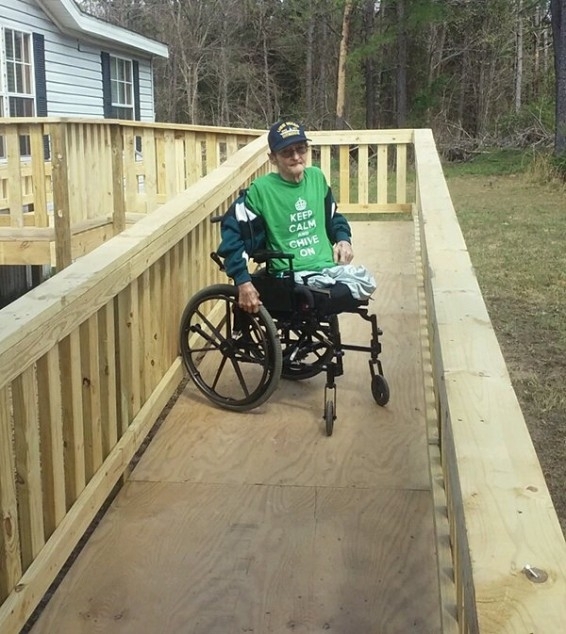 There were three major needs: a wheelchair ramp so Charley can access his own home, a modified bathroom, and a cover for the carport. The cover would protect him while he moves from the house to the car and keep him from getting pneumonia, which he is susceptible to. 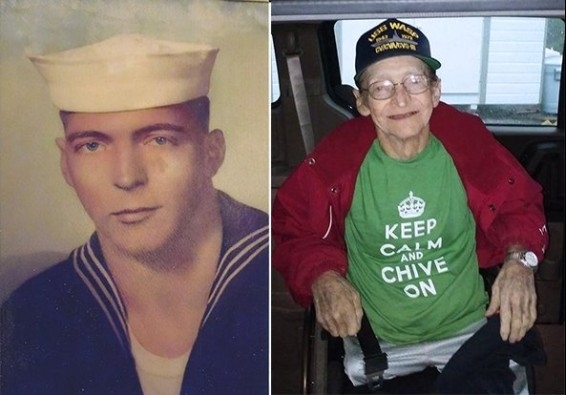 Chive Charities didn’t just do one, we did all three. Becky, you’re absolutely right. This community is like family. And we are so honored to say that now includes you. 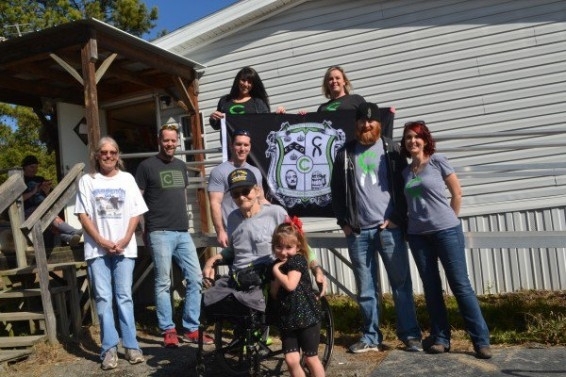 Chive Charities has one mission, and it’s a simple one: to make the world a better place. 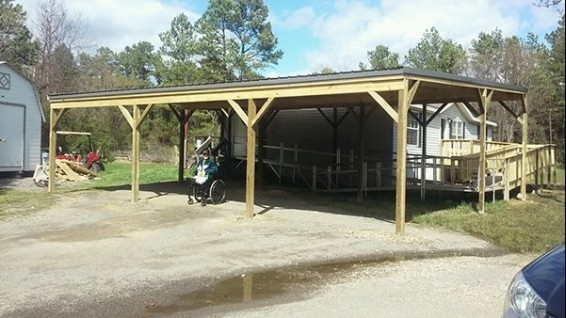 That includes giving mobility to those who need it, building therapy rooms, porches, ramps, or entire homes if that means that one person’s life becomes a little easier. It means restoring hope when the world’s supply is running low. And it means showing respect to those who sacrificed in service to our country; keeping their honor intact. Not just during their time of service, but for their whole lives. We are proud to help our heroes. Although it can be difficult to reach out for assistance after learning self-reliance in circumstances that we could never understand, when our veterans send the call… we are prepared to answer it. Thank you to all our active duty and veterans for your service. If you are a disabled veteran and have medical needs due to a service-related injury, please apply for a grant HERE. Join the community that is currently changing the world. Help us champion the underdog by becoming a Chive Charities member HERE. Can we make your world 10% happier?